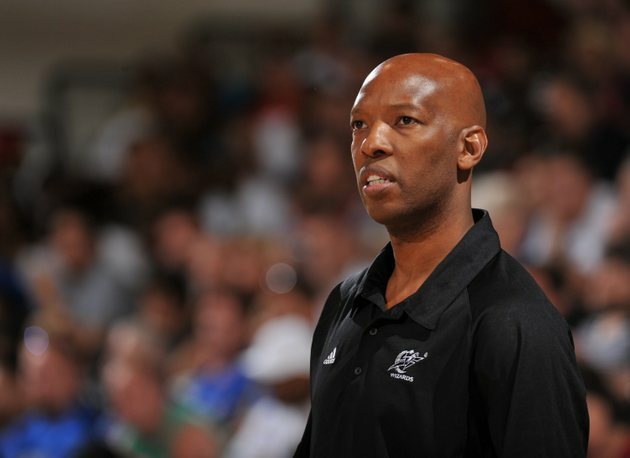 Former NBA guard Sam Cassell is furious with the NCAA for rejecting his son's last-ditch appeal to play college basketball next season. Cassell, now an assistant coach with the Washington Wizards, lashed out in an interview with CBSSports.com, calling the NCAA "neighborhood bullies" and insisting that "what they do to kids isn't right." At issue is the NCAA's decision to invalidate classes Maryland signee Sam Cassell Jr. and Xavier signee Myles Davis took during the 2011-12 school year at Notre Dame Prep. The NCAA has placed the Massachusetts school on its "Watch List" as part of its crackdown on rogue prep schools. The elder Cassell contends the NCAA's ruling isn't fair because Notre Dame Prep's academic standards weren't under review until after the 2011-12 school year began. Eight players who took the very same classes Cassell and Davis took at Notre Dame Prep the previous year were able to play college basketball as freshmen this past season, CBSSports.com reported. "The NCAA just wants kids to fail," the elder Cassell told CBSSports.com. "It's not these kids' fault. The NCAA can't penalize Notre Dame Prep, so they are squashing the kids dreams." Cassell's criticism of the NCAA's motives is certainly over-the-top, but the point he is trying to make has some validity to it. Neither Cassell Jr. nor Davis presumably had any reason to suspect the classes they took at Notre Dame Prep would be invalid when they enrolled in them, so is it fair to punish them belatedly? At the same time, the NCAA should be credited rather than criticized for cracking down on the diploma mill prep schools that have popped up in recent years. Notre Dame Prep may very well be legitimate, but those that do offer sham classes designed to ease the academic burden for basketball standouts are giving academic-oriented prep schools a bad name. Since Maryland cannot accept a non-qualifier, the only way Cassell will ever suit up for the Terps is if he attends a junior college first. Otherwise he can transfer to a school that would allow him to enroll immediately and begin competing during their second year in the program.